Friday, October 2, 7:00 p.m. Introduction and Discussion with Roddy Bogawa and StormStudios Photographer Rupert Truman. Saturday, October 3, screening at 7:30 p.m.
Sunday, October 4, screening at 2:00 p.m.
Monday, October 5, screening at 4:00 p.m.
Tuesday, October 6, screening at 7:00 p.m.
Thursday, October 8, 7:00 p.m. Introduction and Discussion with Roddy Bogawa and Producer Orian Williams. Friday, October 16, 6:30 p.m. Introduction and Discussion with Roddy Bogawa, Rupert Truman, and Producer Orian Williams. Tuesday, November 3, 7 p.m. Skype Q and A with Roddy Bogawa. Thursday, November 5, 7 p.m. Introduction and Discussion with Roddy Bogawa. Friday, April 15, 7 p.m. Introduction and Discussion with Roddy Bogawa. Thursday, April 28th, 8:30 p.m. Introduction and Discussion with Rupert Truman and Orian Williams. 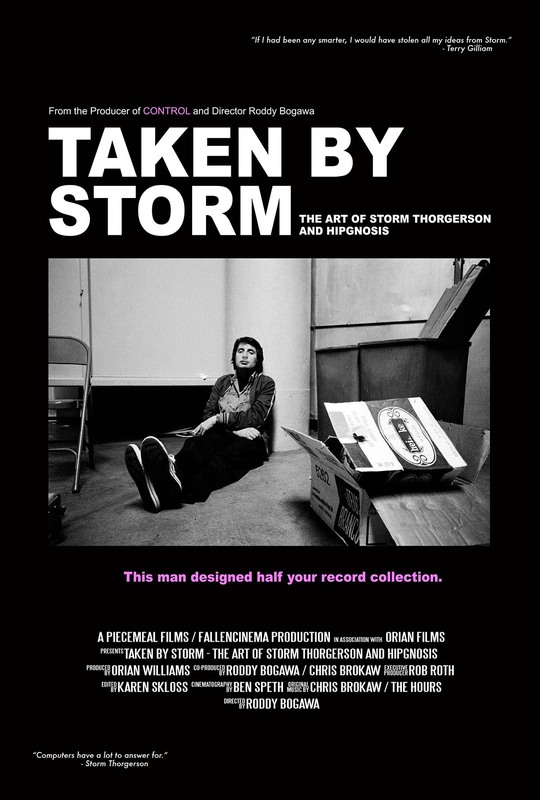 Sunday, September 18th, 5:00 p.m. Introduction and Discussion with Rupert Truman of StormStudios.